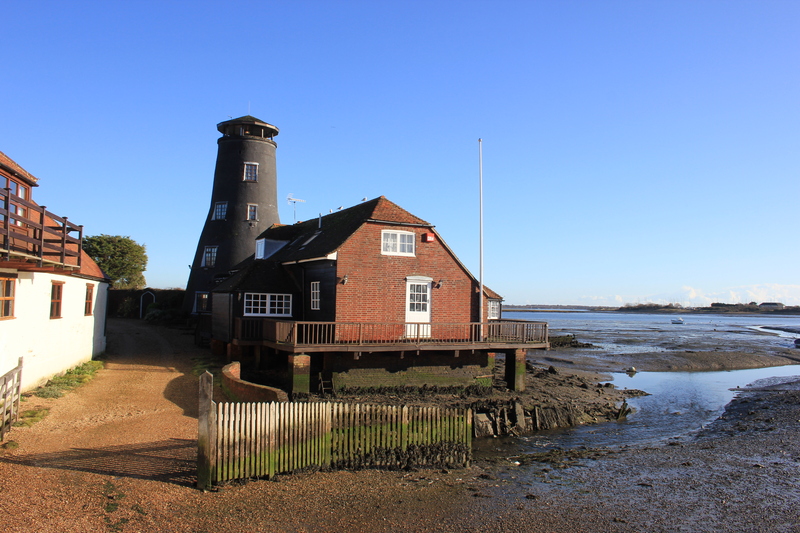 As we approached Hayling Island we passed through Langstone and its Grade II listed Old Mill building. The Old Mill was originally a windmill, dating back to about 1730 but was derelict by the mid-1930’s. It stood next to a water mill and in 1937 both buildings were purchased by the Hampshire painter Flora Twort who converted them into a house. What a lovely spot for a painter to live! Flora Twort turned down a marriage proposal from the novelist Nevil Shute in 1925, however, they remained life-long friends. Shute and his family lived at the Old Mill briefly in 1939. 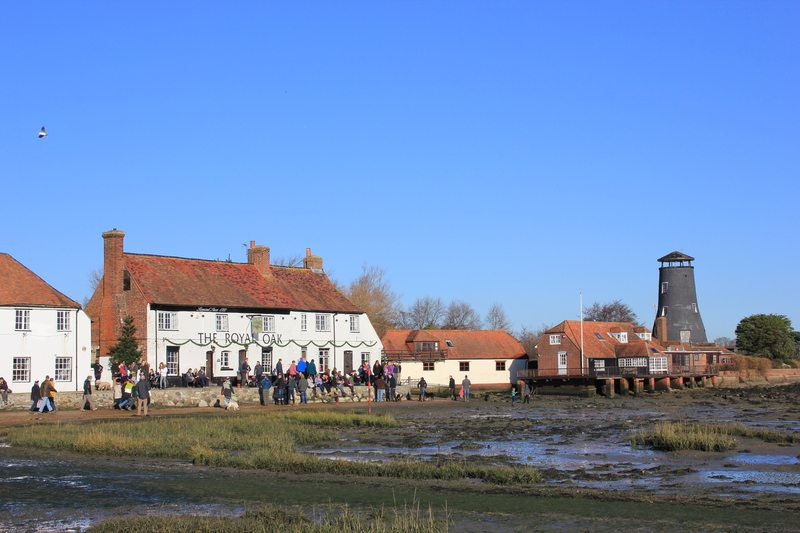 Standing next to the Old Mill was the Royal Oak public house, clearly a popular venue this Boxing Day lunchtime! I lingered in front of its doors as we walked passed, but the others didn’t pick up on my silent hint and we strolled on. 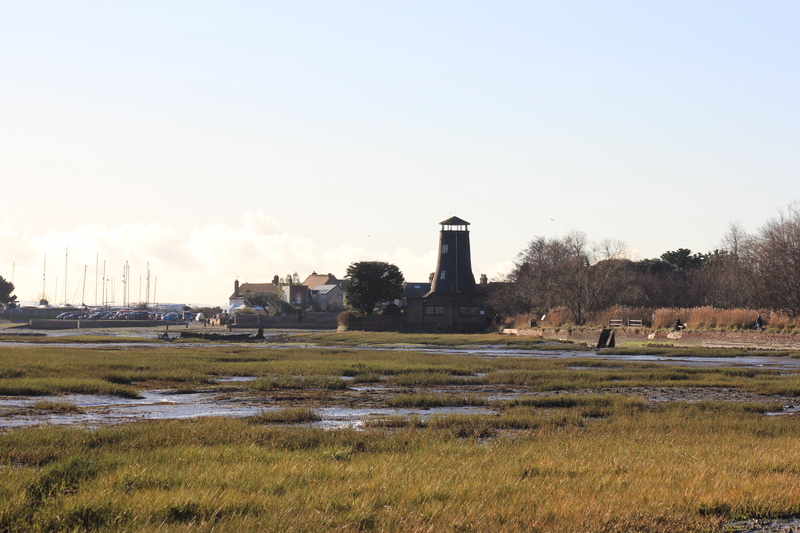 Ordnance Survey maps show a bridleway leading from the Royal Oak over to Hayling Island. This is The Wadeway, a causeway linking the mainland to the island which was built in the 13th or 14th Centuries. 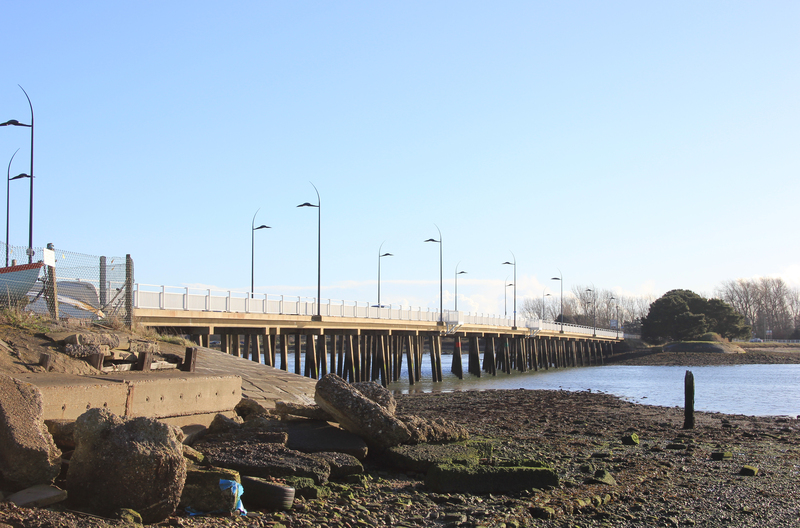 At the time The Wadeway was built it was the only access to Hayling Island. 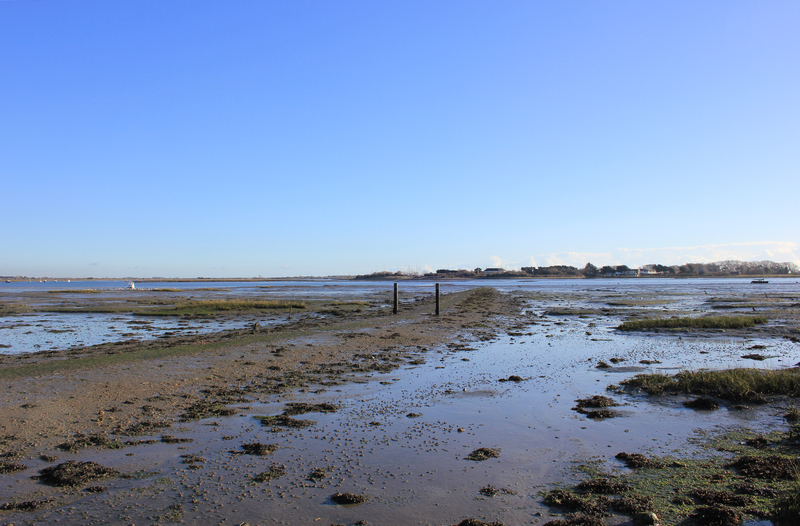 It was severed in the 1820’s by the construction to the Portsmouth to Arundel canal, and now cannot be used to reach the island, even at the lowest of tides. Why, therefore, Ordnance Survey still show it as a bridleway, I have no idea. When you get there is clearly leads out to a watery nothingness. We would have liked to have crossed this historic causeway, but as it was we had to make do with the slightly more modern A3023. This entry was posted in Hampshire and tagged causeway, coast, Flora Twort, Hampshire, Langstone, mill, Nevil Shute, travel, walking. Bookmark the permalink. I missed out Hayling Island on my walk. Will be interested to read your account of walking around the place.